Bryan began his career as a College Financial Representative with Northwestern Mutual in 2014 and finished as one of the top interns nationwide while attending school full-time. His experience with clients contributed to studies on multi-cultural and diverse market strategies, as well as future training and development opportunities for the program. However, he jumped at the chance to join CFG as a Client Service Associate because he was already a zealous advocate for life insurance strategies. “Insurance has debatably the most important seat at the table when it comes to laying down the foundation for a solid plan. The flexibility, customization options, and different implementation strategies are endless.” Bryan has personal experience utilizing cash value from a policy his parents put in place decades ago, and he is fascinated by the potential of Private Placement to make a great idea better. Bryan holds FINRA Series 7 and 63 securities registrations, as well as an Arizona Life & Health Insurance license. 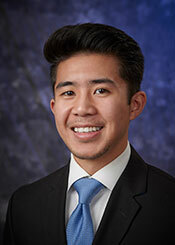 Currently, he is pursuing his Chartered Life Underwriter (CLU®) and Certified Financial Planner (CFP®) designations. With his heart set on palm trees and sunshine, Bryan moved from his hometown in New Jersey to attend The University of Arizona. He received a Bachelor of Science in Urban Growth and Regional Development, and a minor in Business Administration. He is also a member of the UA Alumni Association, and contributes to the Board of Alumni for the Kappa-Tau chapter of Tau Kappa Epsilon. Bryan is an avid automotive enthusiast and loves working with cars whenever he can. As a proponent of staying active, he maintains a commitment to fitness and plays tennis regularly. In his free time, he enjoys photography, traveling, cooking, and spending time with his family in Arizona and New Jersey.